When it comes to producing professional results on a personal budget, few parts of the lawn mower are more important than the blade. This key part determines how the grass will look, how healthy it will be, and how efficient mowing will be from start to finish. Over time, the blade typically wears down due to repeated contact with grass, rocks, and other debris items. It may even become corroded or damaged. While sharpening can’t help with blade damage, it can certainly help with dullness that might cause problems around the home. This simple process requires careful work, but takes only a short amount of time. Best of all, sharpening the blade produces long-term benefits that are visible to naked eye and important to each blade of grass. Mower blades present an obvious risk during removal and sharpening: Without proper precautions, they can certainly result in cuts and infections. Even a “dull” blade is sharp enough to cause issues when it’s removed for sharpening. For this reason, all blade removal and handling should be done while wearing protective gloves. Most stores sell gloves that are specifically designed to resist sharp edges and provide a safe environment during maintenance. Other key safety considerations include disconnecting the spark plug and draining any remaining fuel, to prevent leaks, sparks, and burns during maintenance. It’s also a good idea to make sure that there are no bystanders around when performing maintenance, as this will mitigate the potential for serious injuries while the process is ongoing. Sharpening a lawn mower’s blade is about more than just keeping up with maintenance procedures listed in the operator’s manual. In fact, there are some key reasons to routinely check, sharpen, or even replace the mower’s blade as the equipment ages and handles all kinds of turf and debris. The goal of a mower blade is to cut the grass, not tear it. If the edge has become exceedingly dull, however, no cutting will take place. The blade will instead tear through turf until it’s reduced in length to roughly the height at which the blade is spinning. This can cause serious problems for the lawn, and lead to grass that is sparse, brown, or unattractive in other key ways. 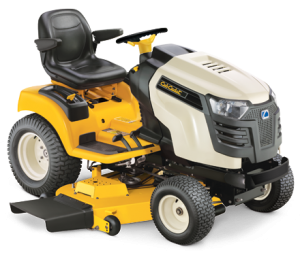 When the blade has to constantly tear through grass, rather than easily slicing through each blade, the mower puts out a bit more effort and uses more fuel. That means reduced productivity, increased fuel costs, and more long-term expenses for operators. Finally, blades that tear through grass produce a lawn that is uneven and amateurish. There is no illusion that the turf was professionally handled, and most homeowners will find that their outdoor spaces pale in comparison to those trimmed either by sharp blades or seasoned pros. A dull blade is pretty easy to spot: Instead of razor-thin, sharp edges, the blade will have a rounded appearance on the edge of the blade. Operators should also look for dents, dings, or bent edges, as these could be causing problems when attempting a uniform, even cut of the turf. When checking the blade for dullness, it’s also a good idea to look for any rust that may have formed due to moisture during previous mowing work. 1. 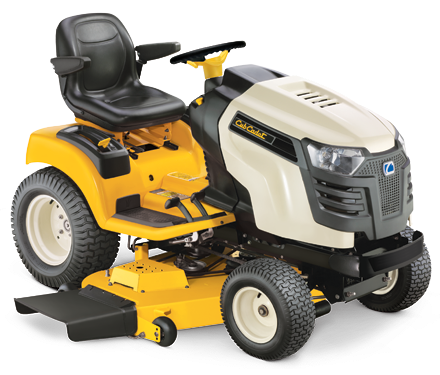 Remove the spark plug wire, drain any remaining fuel, and tip the mower to its side so that blade access is available. 2. Use a wood block in the blade cavity to prevent the blade from spinning, and then loosen the nut that keeps the blade secured to the underside of the lawn mower. 3. Secure the mower blade in a vice and use a handheld file along the beveled edges of the equipment. A broad file can be used for straight sections, but a narrower option should be chosen for any curves in the blade. For more damaged sections or larger blades, a bench grinder may be a better choice for this process. 4. Set the blade on a nail and check whether or not it is properly balanced. If not, file the heavier side a bit more until the blade is perfectly balanced and ready to go. When this balance is achieved, reinstall the blade underneath the mower. Lawn mower owners in south-central Pennsylvania, as well as in parts of Virginia, West Virginia, and Maryland, will find the replacement blades and sharpening tools they need at Shank’s Lawn Equipment. The combination of great service at Shank’s Lawn’s location, as well as an easy parts lookup tool at ShanksLawn.com, makes it easy to find a perfectly compatible blade for all of today’s most popular riding and walk-behind mowers. These blades will keep grass looking healthy and professional throughout the entire summer season. This entry was posted in Uncategorized and tagged Lawnmower Maintenance, Shanks Lawn Equipment. Bookmark the permalink.